The healthcare industry is drowning in data. An overflow of clinical records, patient history, complex billing information, medical research and more make it very difficult to manage such data within the healthcare industry in a systematic way. According to research, Americans see an estimated 19 different doctors in his or her life. Meanwhile, the U.S. Government lacks a unique patient identifier code system, thereby making it nearly impossible to collect & manage the complete information of each patient. Electronic health records have helped practices convert paper data into digital form. But, while this technology has blessed physicians with a better approach to manage the data of their patients, electronic health records aren’t shared openly between systems. So there is not a single source available where all individual patient information resides. Presently, physicians use any of the three given models to access information. This is the time we should be thinking about a fresh approach to improve the data management in the healthcare industry. We need a secure place where we can save a patient’s complete medical history and relevant information systematically for future use and analysis. Blockchain is the only technology that can provide the solution we need. Is blockchain the future of data management in the healthcare industry? Yes, but there are limitations to be aware of, too. Let’s thoroughly analyze the blockchain concept and its application in the healthcare industry. We’ll review the benefits we can expect from its implementation as well as some of the impending challenges we might face if we use it to transform data management within the healthcare industry. 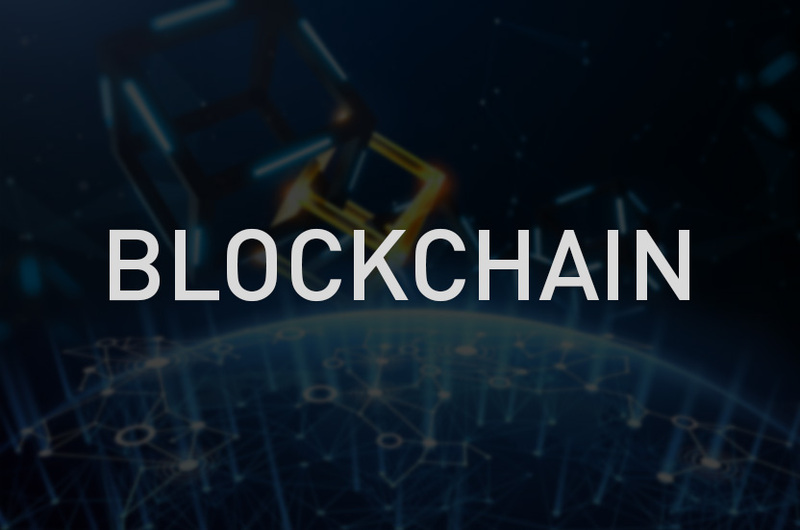 Blockchain is a distributed and secure technology system that logs information on linked blocks and stores them on an encrypted digital ledger. The information is stored in multiple locations, so if a computer is compromised blockchain gives you the option to control the access to the digital ledger. This pattern of information exchange ensures that the right person will access the right information without fear of hacking or information leakage. Blockchain is a write-once and append-only system, which means once the database has been uploaded then it can never be changed or altered. Parties with access to the ledger can only add information, and no one can edit the previous database. Blockchain is a decentralized system, which means the data is not stored in a central location and it is not being controlled by a single gatekeeper. Each ordered record or “Block” is stored in a secure sequence or “Chain” which is time stamped and contains a link to the previous block, which makes it easier to note when a block was created or improved, and in what order. Public Health: By using blockchain technology, regulatory bodies can create a shared stream of de-identified patient information. This stream will help authorities identify the pandemics or threats so they can take necessary action to control the problem in a timely manner. Data Security: Blockchain technology is the smarter solution to safeguard the patient’s information. Blockchain prevents unauthorized individuals from accessing the information. Managed Consent: Patients can specifically authorize any individual to access their medical information. Simplified Claim Processing: Blockchain technology can simplify the complex medical billing process by eliminating the series of validations and multiple third parties acting on behalf of other entities. Patient Generated Data: Patient will be able to easily upload and securely store their updated medical information without messing up any previous records. Uncertainty: The Blockchain concept is not widespread yet and there are only a few successful initiatives based on this modern technology at this time. That is a major hurdle because we don’t have many successful blockchain models to follow which creates an uncertain situation. Storage Capability: Blockchain within the healthcare industry will be comprised of medical records, images, documents and lab reports which require a significant amount of storage space. Conceptually, every member included in the chain would have a complete copy of the full medical record of every individual in the U.S. and this volume could potentially exceed the storage capacity of current blockchain technology. Data Ownership: Who will own the healthcare data? Who will grant permission to share it? That kind of structured department or process hasn’t been established yet. Cost: The cost of establishing and maintaining a healthcare blockchain is unknown yet and no one can seriously consider this technology without knowing about its expenses ahead of time. Rules & Regulations: There are no rules available to address the use of blockchain in the healthcare industry. It is also uncertain as to how new policies regarding healthcare blockchain will conform to current privacy regulations like the HIPAA act.